The Antología abierta de literatura hispana by Rebus is used under a CC BY 4.0 license (https://creativecommons.org/licenses/by/4.0/). 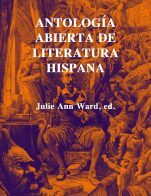 Antología Abierta de Literatura Hispana por Julie Anne Ward (ed.) se encuentra bajo una Licencia Creative Commons Atribución 4.0 Internacional, except where otherwise noted. The index and footnotes are fine, they correspond to the themes and clarify as necessary. The title is very broad, and the content only covers a small part of Hispanic literature. It is very focused on only certain time periods and types of writers, so the title is too extensive for the limited content it introduces. This point is expanded on in consequent answers. There are quite a few spelling and grammar errors in the content. I would be happy to indicate where if required. There is some English in the footnotes where there should not be any, probably skipped while editing and translating. The style of the language is very unrefined and really sounds like students studying Spanish have written it, which I am not quite sure is what I would like to use in a language or literature class. I found it to be a little biased in terms of authors. All authors are Caucasian and belong to a privileged social class. Also, it contains a letter written by Christopher Columbus, which I would not consider as "literature", rather a historical document. Has a very colonial aspect to every work presented. It is difficult to make an anthology of literature up-to-date, in terms of the works and historical information, since it is a collection of previously written literature and history which cannot be changed. I think any references alluded to were up-to-date and will not be problematic in the future. The only aspect I find irrelevant to this day and age is the lack of diversity in the book. Our classrooms are more intercultural and diverse now, and it is something as teachers we always try to cultivate and foster with our curriculum. It is more and more important, and required, to include authors and works from many different backgrounds, and which represent a diverse spectrum of society. This book is not reflective of the diversity that exists in the Hispanic world, and is very reminiscent of a time when only privileged, Caucasian authors were considered worth reading. It would not connect with many of our students. The text is written in very basic, non-academic style language, which does make it accessible to students studying Spanish as a second language in the upper- intermediate level, and perhaps as a very basic introduction to Hispanic literature. The footnotes did explain some terms not common today or in the more popular dialects of Spanish, and did provide clarification of unclear concepts. However, there is quite a bit of Old Spanish used in some of the works, which was not clarified or addressed, or explained. It was quite a contrast from the basic style of the sections on the authors, to the actual piece of literature. There were times when I was not sure if a word was a typo or just Old Spanish. The words I had doubts about ended up being Old Spanish, but I had to look it up elsewhere online. It is a bit worrisome that if I as an "expert" had doubts, what kind of confusion would it cause a student. The inconsistency I found was mentioned in the previous point, that the very basic non-academic level of language used in the author descriptions sometimes did not "match" the more complicated structures or language of actual work of literature. I gave the example of Old Spanish being present, and not being addressed, and being quite higher level in the work of literature than in the author introduction written by the contributors . Some of the works of literature were much more complicated to understand than others, because of the Old Spanish grammar and vocabulary that was not always defined in the footnotes. There is an inconsistency in terms of how the works are organized, because there is no logical organization. It goes from a short story, to a poem, to a letter, to a longer narrative, to a frame tale. It jumps from time period to time period, country to country, man to woman, etc. I would find it hard to use this textbook in my class. The sections are very short and easy to incorporate and fit in to any class time, but the content has no logical order whatsoever. It skips from time period to time period, Latin America to Spain, men to women, colonial times to the early 20th century....I would have a hard time using this book in the order it is printed, and would have to bounce around to take the pieces and reorganize them to follow some chronological order, or any time of progression. There is no mention of literary movements, for example Modernism or Romanticism, which are an important aspect when studying literature, especially from the Hispanic world. 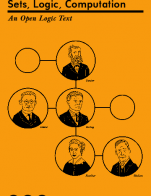 The works featured in the book do not have any flow or logical organization. It jumps from different time periods, countries, gender of authors, then a letter from 1492 smack in the middle with no real reason, feminist writers to high class male writers, etc. It goes from a short story, to a poem, to a letter, to a longer narrative, to a frame tale etc. There is no mention of literary movements, which are an important aspect when studying literature, especially from the Hispanic world. The works are very randomly scattered with no connection to each other in any way except that they are written in Spanish. The very basic non-academic level of language used in the author descriptions sometimes did not "match" the more complicated structures or language of actual work of literature. I gave the example of Old Spanish being present, and not being addressed, and being quite higher level in the work of literature than in the author introduction written by the contributors . Some of the works of literature were much more complicated to understand than others, because of the Old Spanish grammar and vocabulary that was not always defined in the footnotes. 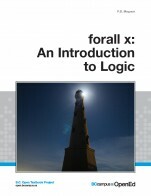 I did not encounter any issues with the interface while reading the book online. As I mentioned in the Content Accuracy answer, there are quite a few spelling and grammar errors in the content, for having being edited and to be considered a textbook in any language or literature class. Please let me know if you require me to indicate the errors. There is some English in the footnotes where there should not be any, probably skipped while editing and translating. The spelling errors seem to be editing and typing problems, and the grammar mistakes include subject -verb agreement problems, subject-adjective agreement, article agreement, and incorrect usage of verb tenses. A few punctuation mistakes as well. The text is not very diverse or inclusive. 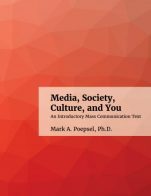 The authors featured are all Caucasian, middle or high social class, heterosexual, Christian, and quite privileged members of society. Very colonial. It is missing so many other subjects and authors from the Hispanic world, like the Indigenous, Afros, LGBT, poor repressed women, peasants etc. Plus it only covers up to the early 1900's, focusing mostly on that time period. The title of the book should be more specific. "Antología Abierta de Literatura Hispana" is much too broad for the limited content and authors included in this one. It includes VERY limited examples of what is a VERY big genre. It The title should be more specific, to a time period or region for example, to justify why those authors were chosen. In general, I would not recommend this book. It has too many spelling and grammar errors, and I cannot determine which type of class or level I would recommend it for. The level of Spanish reads very much like it was written by students, almost like a term paper which describes an author and a little about one of his/ her works. I would not like to use something with this type of language style in any upper intermediate classes, which is when this type of literature is usually introduced. I prefer students to read from good Spanish texts, as a model of what is correct language style and usage. 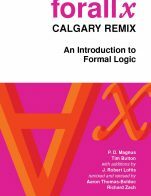 The book follows no logical order and the authors/works seem random and with no progression or connection. They focus only on a very small population (Caucasian and privileged from only certain regions) which does not properly give an overview of Hispanic Literature. In our classes today, we strive to introduce authors and works that represent a lot of diversity, which this book does not present. I would have a hard time linking the works to history or literary movements, as they are not mentioned and do not follow a chronological order. I did enjoy reading it , however. It was a brief and simple introduction to a tiny part of what is Hispanic literature. It was easy to understand, and I liked how some authors who are never usually mentioned in any anthology were featured. I also applaud that half of the authors included are women. But in order for me to recommend this book, it would require the title to be more specific, and a lot of editing and reorganizing.